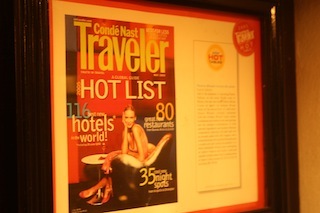 When the Conde Nast Traveler “Hot List” issue comes in the mail, I always review it. I check to see if I stayed at, drank at, or dined at any of the mentioned. And fortunately, I have. Yet I am often surprised when certain places are mentioned over others I know from the location. 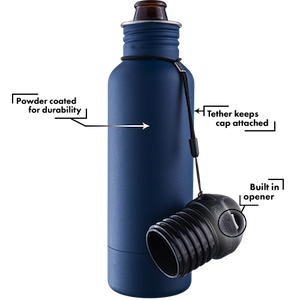 The debate often rages, what’s overrated, what’s missing? But, I was not surprised to learn Cafe des Artistes in Puerto Vallarta made the list. And when you enter, you know why even before you sit down. It’s a special place. 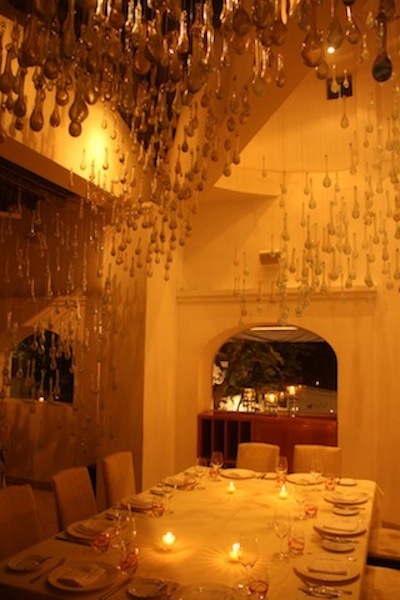 The hostess, the art work, the furnishings all establish an ambiance designed to create a special evening.Whether it’s a visit to the celebrated cigar and cognac room, diner inside sitting at the outlandish dining rooms or outside in the open-air garden you realize each room casts a spell. It’s almost magical. I reviewed the selections on the menu and since our food crawl only designated Cafe des Artistes a place for appetizers, I ordered a cocktail and deferred. I allowed others in my party to debate our selections. I knew nothing would disappoint here. And nothing did. We started with a sample taste of soup. A great beginning. I think people do not realize the importance of soup in the Mexican dining scene. A good soup is a must. Afterwards we moved on to some specialities with a heavy accent on pork. No complaints by me. Then another dish arrived and with it arrived the next chapter in adventurous eating. Mexican caviar. Yes, it sounds divine. 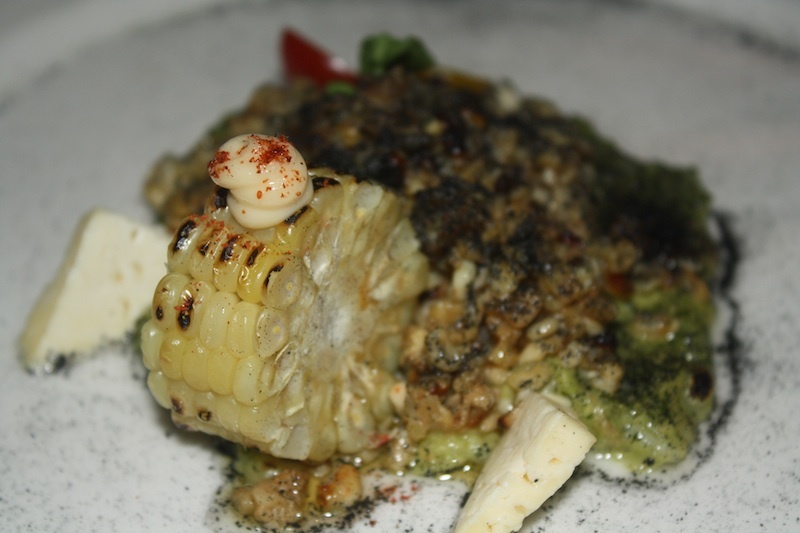 “I’ll have the Escamoles please,” sounds as if you are ordering class on a plate. But, it’s not Beluga Whale, it is the eggs of Ants. Yes, insect eggs. I grabbed my fork and thought if you are ever to taste something new or strange this might be a good place for it. It was. I went back for seconds, then thirds. 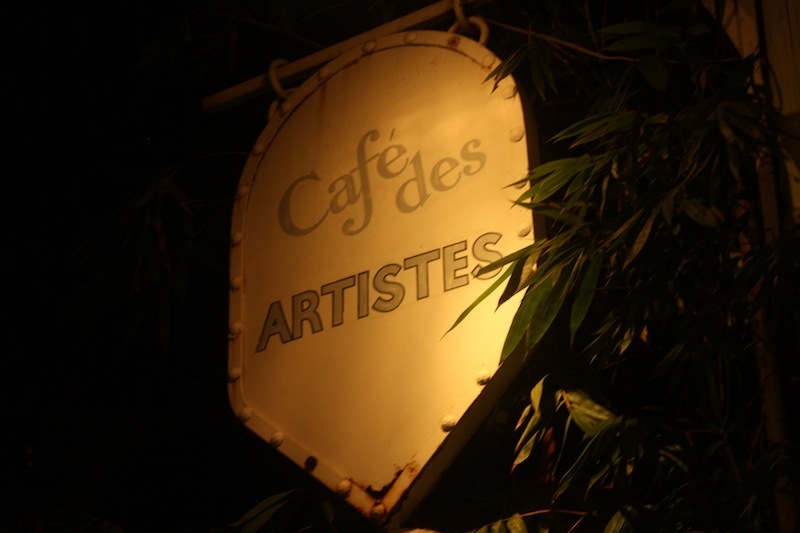 With another restaurant on tap or dinner, I only enjoyed a small taste of Cafe des Artistes. A taste that only left me hungry for more. So, the next time in Puerto Vallarta, I look to finish my story and also finish all my courses. Tip: A great way to indulge into Thierry Blouet’s creations is to order the $399 peso pre-fixie menu. A appetizer, main, and a dessert for the equivalent of $35 might be well worth it if you consider yourself a foodie. 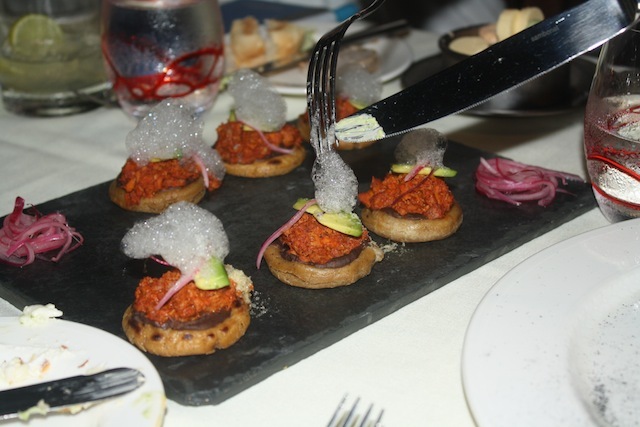 This is third installment of the Culture Through Cuisine – Restaurant Week Series and the second of five posts on Puerto Vallarta, Mexico. 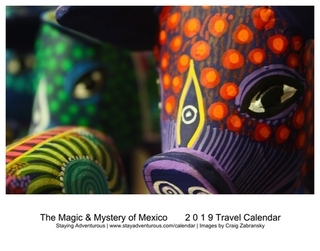 Additionally, this post is part of the Mexican March Madness 2011 series. Also, I’d like to thank Cafe des Artistes for the invitation to experience their restaurant. I look forward to my return soon.